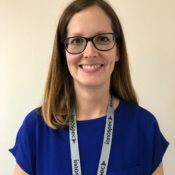 Alice is a Senior Applications Chemist in the Performance Chemicals group at Innospec in the UK where she supports personal care customers, develops new guide formulations and provides data for new product launches. Alice has a First Class Chemistry with Year in Industry MChem degree from the University of Sheffield. As part of this she completed a student placement year at Reckitt Benckiser. She began her personal care career at Croda on the graduate scheme and spent 11 years with the company in various personal care applications roles. She joined Innospec in Ellesmere Port in June 2018. Alice holds the Society of Cosmetics Scientists Diploma in Cosmetic Science and is a member of the Regional Development Group of the Society for the North area of the UK. With the rest of the committee she organises two half day seminars per year on a variety of cosmetic science topics.